View screen shots of the R2 sports challenge software. See images of how the director chooses the challenge ladder options and sets the rules. 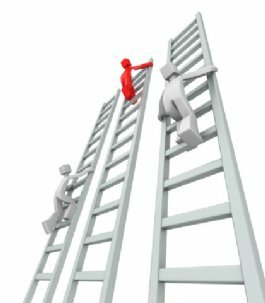 A challenge ladder website is automatically generated after completing the setup. Players can register online for the challenge ladder along with challenging opponents and report results. 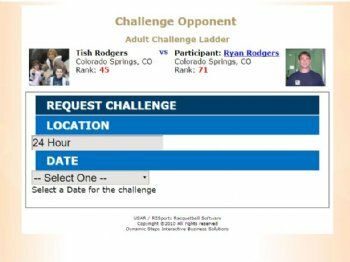 The challenge ladder email system sends auto-emails when challenges are requested or when no response or non activity penalty is issued. Directors can modify rankings if results are reported incorrectly and make and accepted challenges for players. Activate free challenge ladder HERE. This section has screen shots where you can see what a website for the sports ladder looks like and how it changes automatically as trigger actions occur, like when challenges are requested and reported. Recent challenge match results are diplayed in the challenge ladder home page. View a sample challenge ladder rules page which is generated from options selected during the setup process. Directors and also add customer text to the rules page. After challenge results are reported, the challenge ladder is automatically updated. View a demo a demo challenge ladder with player rankings. Joining a challenge ladder is an easy process. Begin by logging in to register online. Modify any player profile or contact information when you first login. Select from available challenge ladder divisions during online entries. Some challenge ladders allow players to enter multiple divisions. Review the registration on line summary page and agree to the participant waiver. Once the challenge ladder entry is complete, review the events registration receipt. The participant is added to the ladders entered and starts on the bottom of the challenge ladder. Players can make challenges from their smart phone or any computer with internet access. Login to the reporting section to view opponents available to challenge. When challenging an opponent, select up to three times and locations to play the match and provide additional comments that may be relevant. The opponent can respond to the automated email and accept the challenge request . After the match has been played, the winner, loser, or director can report results and enter match scores. Player ranking spots on the challenge ladder are adjusted after the challenger wins. Automated emails are sent out after trigger actions occur. One action on the challenge ladder that cause an email to be sent is when a player challenges another player and a respond to new challenge email is sent to the opponent. An acceptance notification is sent to both players once a location and time have been confirmed for the challenge. I there is no response to the challenge request, a forfeit due to no response will be issued. After a match is played, both players receive a challenge reported email and can verify that results were entered correctly. A non activity penalty warning will be sent if a player doesn�t make a challenge within a time period designated by the director. If a challenge isn�t made within 24 hours after the warning, a non-activity email is sent and a ranking spot penalty is issued. 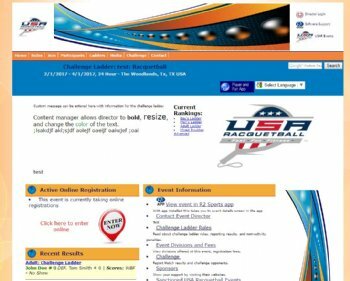 Directors are responsible for setting up the sports ladder software by going through the setup section. Directors can upload a challenge ladder logo, change the message on the home page, and adjust ladder challenge rules and settings. Modify player challenge ladder divisions, report results, and make challenges for players in the participants section. View and print sport ladder divisions in the ladders section and see the number of entries on each challenge ladder. Challenge ladder directors can edit rankings using the ladder software when results are not reported correctly.